Oak Plumbing, a top plumbing repair company in the state, lists the signs that indicate there may be tree roots blocking your pipes. These will probably be the first signs you’ll encounter. Tree root blockage obstructs the flow of water in the pipes, making it harder for water to go down the drain or toilet. Unpleasant smells are also likely to emanate from your bathroom fixtures if there’s tree root blockage somewhere down your pipes. Sinkholes are formed when water from tree-root-damaged pipes starts to leak out and soften parts of your yard. Eventually, the wet portions will cave in, forming a sinkhole. Excess water from leaks can make trees grow faster. If there’s a disparity between the growth rate of the trees in your yard, you might have a leaking sewer pipe. If you observe any of these signs, it’s likely that your sewer lines are made of brittle, leak-prone clay tile, cast iron or orangeburg piping. Modern sewer pipes are no longer made using these materials; newer sewer lines use plastic pipes that are resistant to tree roots. Even if you notice these indicators that tree roots may be blocking your pipes, don’t jump to conclusions just yet. Call a pipe leak repair company to inspect your pipes for blockages. Plumbing contractors can usually send a mini video camera down the pipes to determine the root cause. Mechanical Tree Root Removal – Plumbing contractors will use a mechanical auger, which has a rotating head covered in teeth akin to a saw blade, to clear the roots. They can also remove the roots mechanically using a hydro-jetter, which uses pressurized water to clear the sewer pipes. Chemical Tree Root Removal – After getting rid of the blockage, plumbing contractors can flush down chemicals to prevent the roots from growing back. You can also have a sewer line repair company line your old sewer pipes with internal fabric and cement or replace them altogether with plastic pipes. 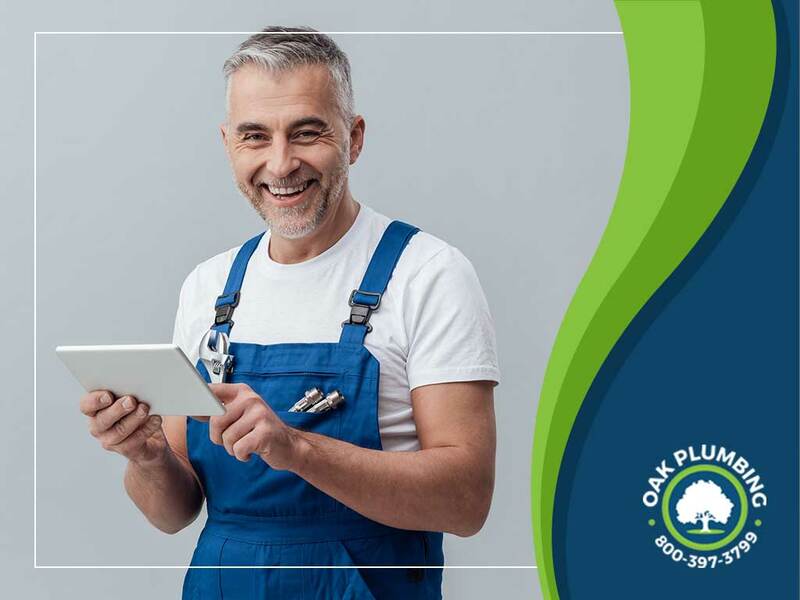 If you’re looking for a plumbing contractor, hire one with excellent customer reviews like Oak Plumbing, which was awarded the 2017 Angie’s List Super Service Award for our commitment to our customers. To schedule an inspection, call (707) 200-7594 or fill out this form. We serve homeowners in Vacaville and Sacramento, CA. 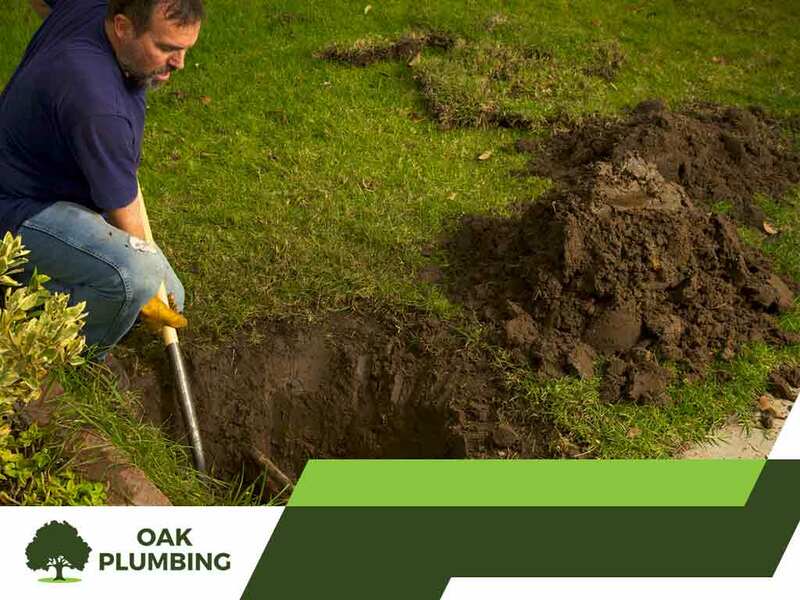 The post Tree Root Pipe Blockages: How to Get Rid of Them appeared first on Oak Plumbing. Mold and mildew thrive in moist environments. As such, it’s natural to see mold and mildew growth in places like your shower. However, if it starts appearing in normally dry areas, such as outside your bathtub, a hidden hole or crack may have been leaking water that led to its growth. Keep in mind that a musty smell isn’t normal; only mold- and mildew-infested rooms have this smell. Stains, water marks or cracks on your walls, ceilings, floors or walls indicate that moisture has been accumulating behind them. If left unattended, your ceiling and wall may sag and bow–and not necessarily in that order. Splash Leaks – A splash leak is usually just water that’s made it past the shower curtain or door. However, don’t get complacent just because this is a common occurrence; this water can loosen your tiles and seep into the floor, damaging the layers underneath. To check if you have splash leaks, splash some water around your shower door or frame. You can also look for gaps around your rubber gaskets or in the caulk on the boundary where the shower or tub meets the flooring. Tile Leaks – If water seeps through damaged grout or caulk and into the wall, tile leaks can happen. Mold-infested gaps in your grout and caulk likely mean you have this type of leak. Sink Rim Leaks – This type of leak happens when water seeps underneath the rim or base of your kitchen faucet. A loose faucet base is usually to blame. To determine whether or not you have this type of leak, splash water around the sink rim and see if seeps under the rim. If it does, you have a sink rim leak. This type of leak can be easily fixed by a company familiar with leaking kitchen faucet repair. If you notice an unexplained increase in your water bill, we recommend calling a professional to inspect your house for leaks. 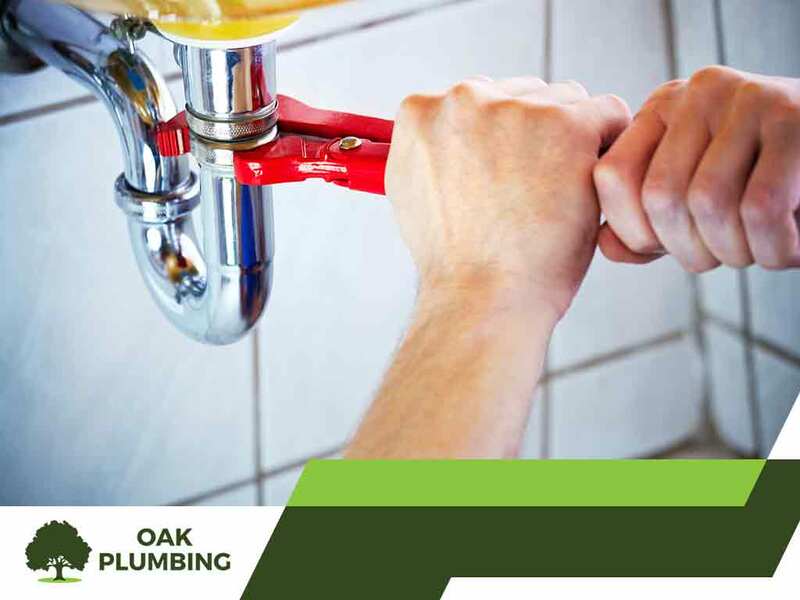 At Oak Plumbing, we offer plumbing repair services. To schedule an inspection, call (707) 200-7594 or fill out this form. We serve homeowners in Vacaville and Benicia, CA. The post Plumbing Leaks: How to Know If Your House Has One appeared first on Oak Plumbing. Many homeowners overlook their home’s plumbing, with hardly anyone going around checking pipes, testing faucets for problems or peering into drainage and sewage lines. Unfortunately, when problems do occur with a home’s plumbing system, they often translate into significant costs. These costs can skyrocket when repairs can no longer be performed and a total replacement is required. If your home still uses a tank water heater system, then you might want to consider replacing it with a tankless system. Also called on-demand water heaters, these types of water heaters provide sufficient hot water almost instantly anytime you need it. They also don’t require water tanks that take up a lot of space in your bathroom or in an adjacent area and need less maintenance to keep performing well. Should a problem occur, they can easily be repaired or replaced, offering you a nice convenience. When purchasing such a system, make sure you hire a reliable tankless water heater installer to ensure your system is properly installed, letting it function as intended. Concerned about a gas leak? Make sure you never worry again by contacting a reliable gas leak repair company like Oak Plumbing. Need regular gas line inspections? We also offer the service to help you avoid potential problems in the future. The best way to manage common plumbing problems is to avoid them in the first place. 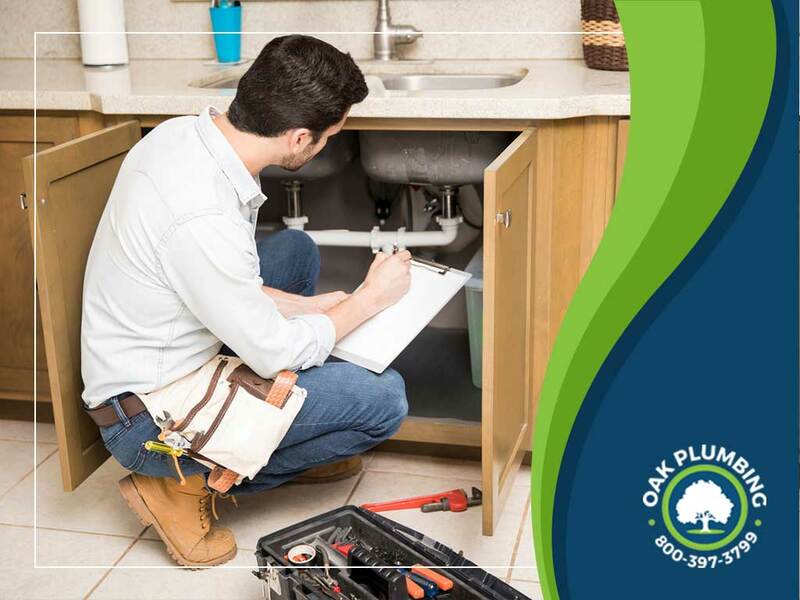 You can do this by signing up for regular plumbing inspections on your water and gas lines, sewage systems and water heaters with Oak Plumbing. No plumbing problem is a match for Oak Plumbing. We provide plumbing inspection and repair services in Benicia, Sacramento, Vacaville and nearby areas in CA. Just give us a call at 1-800-397-3799 to learn more about what we can do for you. Schedule a consultation today! The post How to Manage Common Plumbing Problems at Home appeared first on Oak Plumbing. The post Expert Tips for a Comfortable Home appeared first on Oak Plumbing.